sailboat. 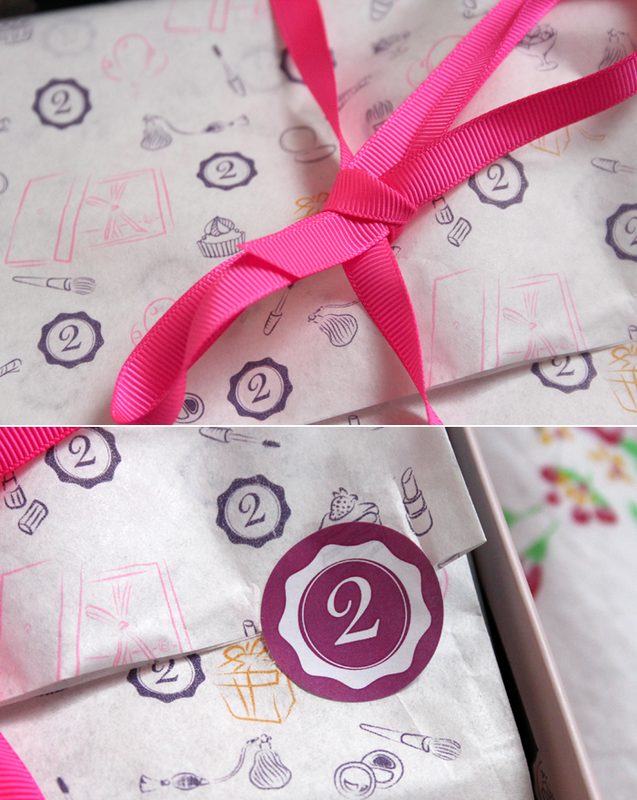 : May 2013 GlossyBox: GlossyBox is Two! 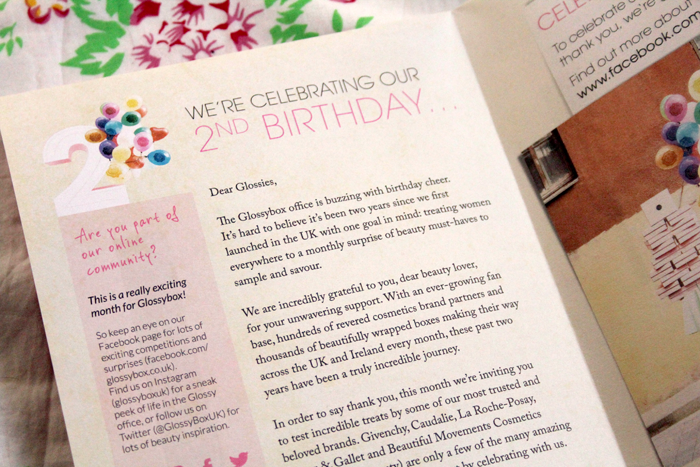 GlossyBox is celebrating its second birthday this month, which is a huge achievement. It's been really great to see the company grow, I'll admit I was one of those people who was unsure about sample boxes in general at the start and although not every box is amazing, I'm a convert and I've discovered some really lovely products that I perhaps otherwise wouldn't have tried. So, yay! Happy Birthday GlossyBox, here's to many more years to come and thank you for allowing me to be a part of your journey! The tissue paper is super sweet with little make up & cupcake illustrations and the usual black stuffing is orange instead. They have also included a little extra this month as a birthday treat. I have a feeling there are better boxes this month, but here's what is inside mine. 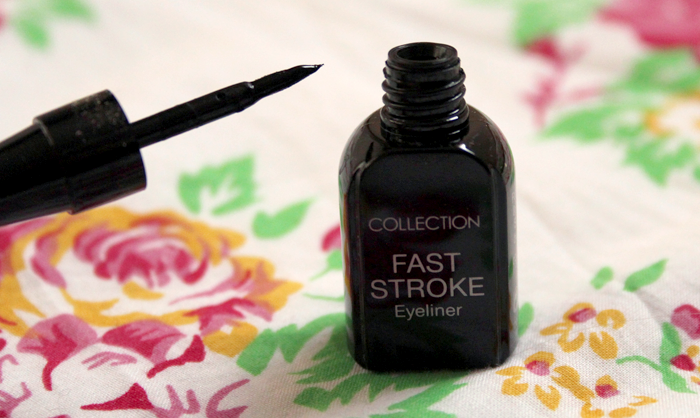 The first product in my box this month is the Collection Fast Stroke Eyeliner. I'm not much of an eyeliner wearer but I'm really impressed with this. I do prefer the waterproof version because I find it stays on a little better but it's nice to have. This is a full sized product and retails for £2.99. Hair products usually aren't my favourite but I'm always happy to try new shine sprays because being blonde my hair tends to lack shine and can look a little blah. 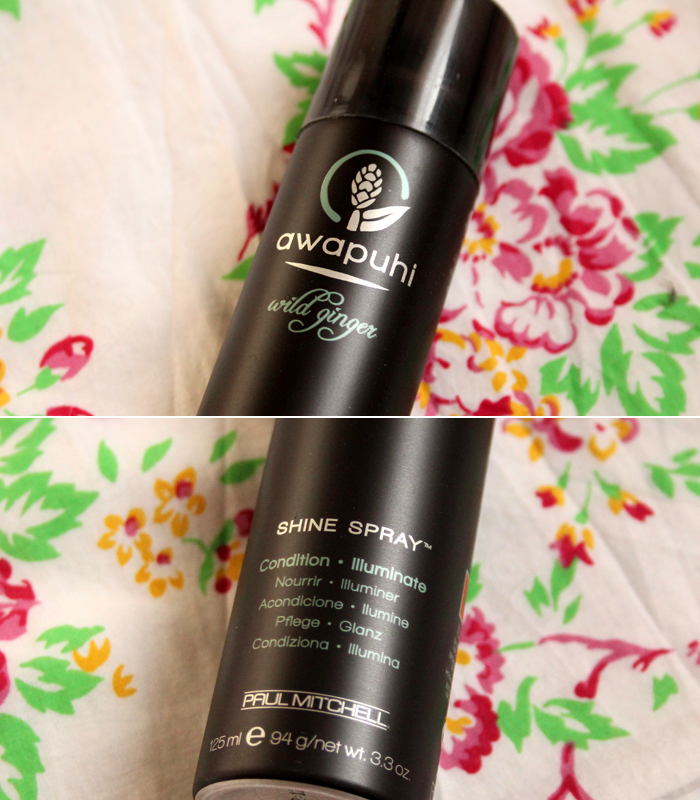 This is the Paul Mitchell Awapuhi Wild Ginger Shine Spray and it smells divine. So far I've really been enjoying using this, it adds the right amount of shine without weighing my hair down or making it look greasy. I never would have picked this up by myself so this is one of my favourite products in this months box. This is a full sized product and retails for £18.95. 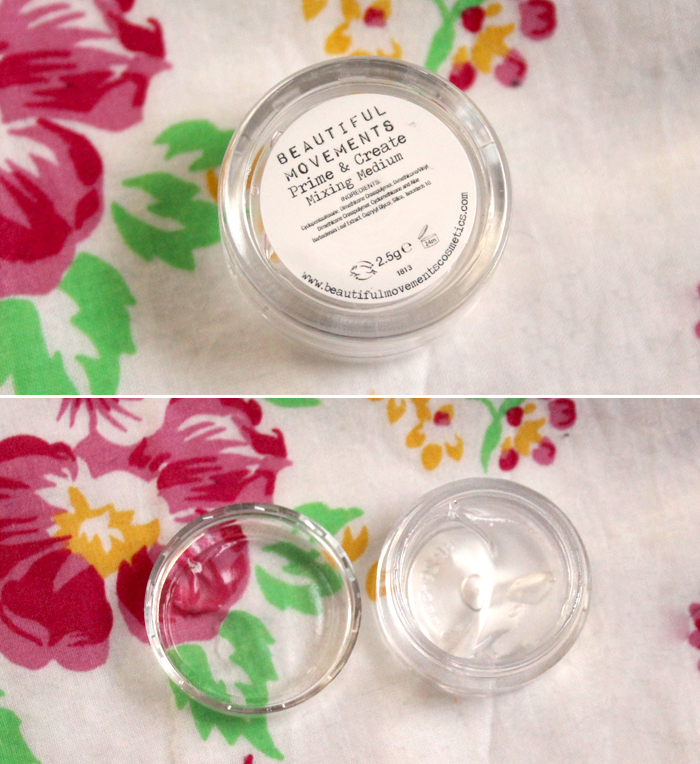 The Beautiful Movements Prime & Create Mixing Medium was something I wasn't sure what I was going to do with at first, but after reading a little about it I'm excited to use it with some of the mineral make up products I received in previous boxes. A few months ago there was a super pretty bronze cheek product that I love but it's a bit messy to use alone, I'm going to mix it with this and see how it applies as more of a cream product. I've never used anything like this before. The full size 20g product is £20. 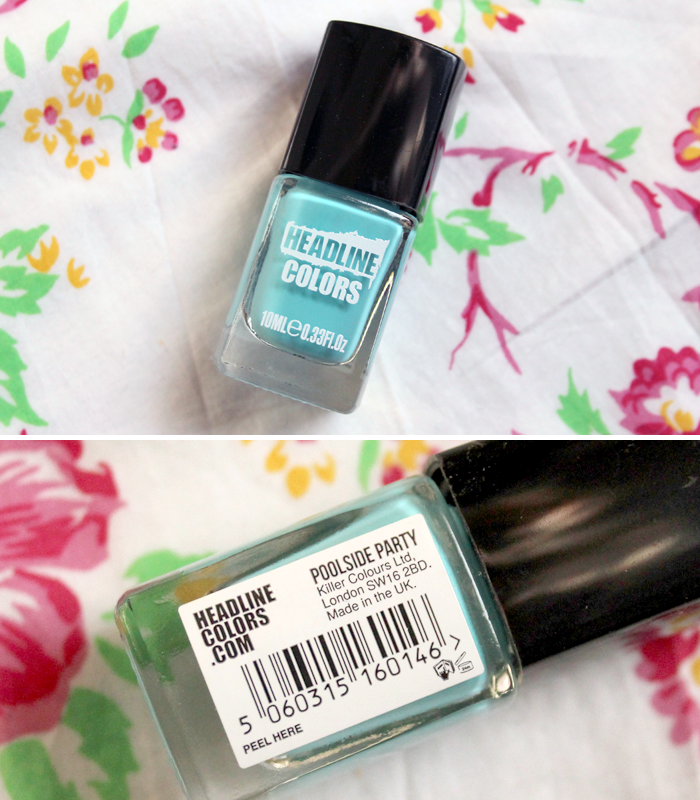 I've tried a couple of Headline Colours nail polishes before (previously Killer Colours I believe) and I was really impressed with the quality, they lasted a really good amount of time without chipping and this shade looks gorgeous for the summer. Blue nail polishes are always my favourite. These polishes retail for £9 each. 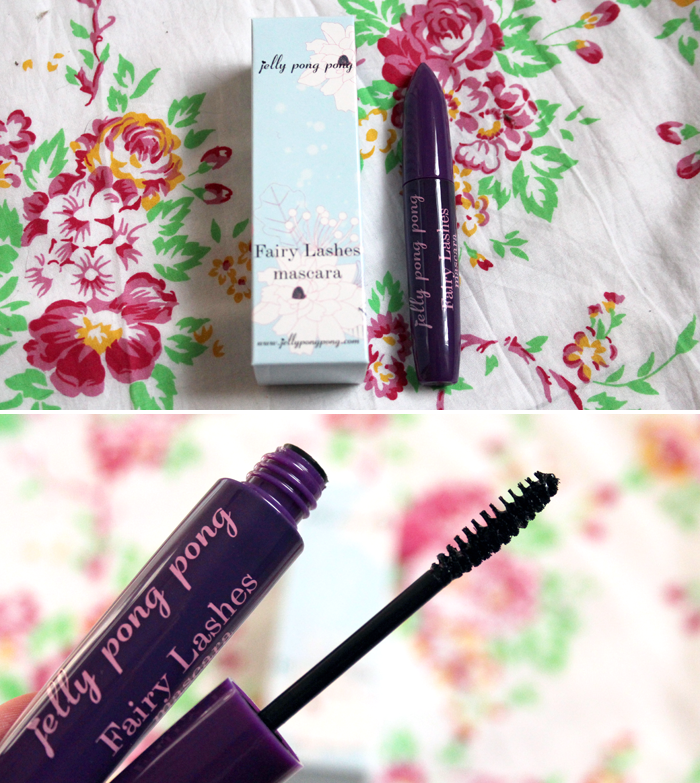 The Jelly Pong Pong Fairy Lashes mascara was the product I was most excited about but it turned out to be my least favourite. I mean, it's okay, but it gives really natural lashes and I think I was expecting something a little more dramatic. I'll definitely use it because sometimes it's nice to go for a more simple eye make up look but it retails for £15 and I don't think it's worth quite that much. 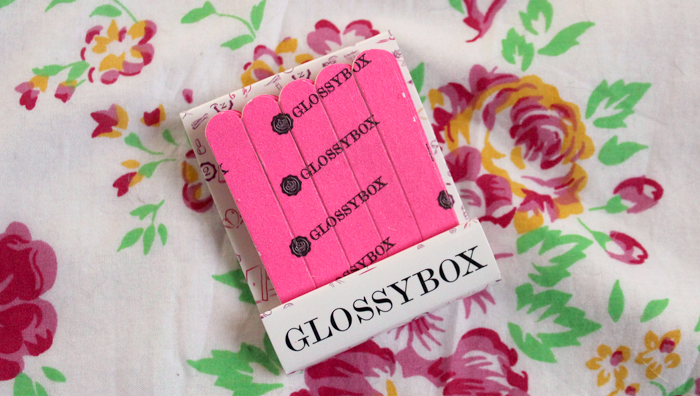 Do you subscribe to GlossyBox? What do you think of this months box? Seems like interesting products! I haven't heard of most brand :) so great for discovering new things! Great post! This looks like a lovely glossbox! I've been REALLY tempted with it to be honest, but something keeps holding me back! I need a shine spray like this, cuz I currently look like a mess. This months actually looks pretty good! I've been meaning to sign up to beauty boxes but they can be a bit of a hit and miss? This looks like a great box. I'd love to try the mascara and the nail polish is a cute spring / summer colour. Looking forward to seeing a swatch of this. I would be happy with that selection, everything is practical and worth trying! Cute packaging too. My box was really different to this one! I was a bit jealous of the mascara but not now that I see you don't rate it much. I received the exact same products in my May box, but a different shade of nail varnish. My favourites are the shine spray which smells amazing! & the liquid Eyeliner. I'm a bit undecided on the mascara at the moment. Have you got your June one yet? I got mine on Saturday.